I have been remiss in not adding photos to each of my blog entries, but today for some reason I bothered to download and resize one. 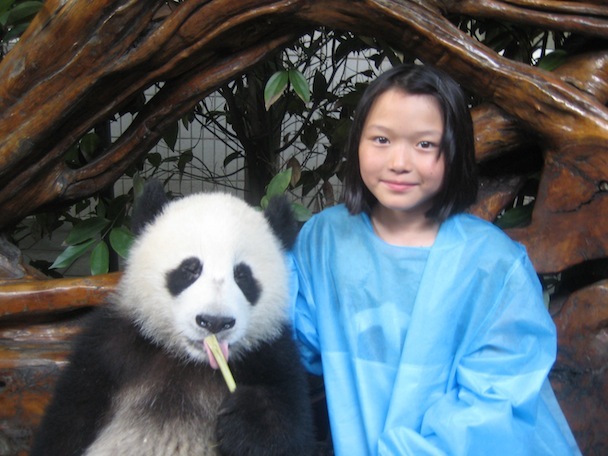 Ya Yun weighs 48lbs and was one of six pandas born last summer in captivity here. 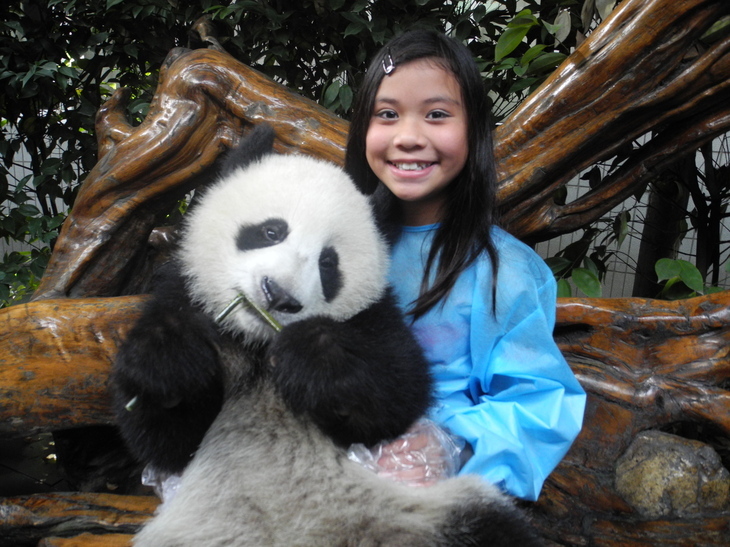 The photo session came with an official Certificate of Love for Giant Panda. Our tour guide, Alice, queued with the girls for the pictures while parents had to remain outside Ya Yun’s little building. The preserve is very nicely laid out with scenic walkways and gorgeous bamboo groves, unfortunately not of the type edible by pandas. That kind of bamboo has to be trucked in from another location. We probably saw about a dozen giant pandas and about as many red pandas this morning. Most were only several meters away. Before and after these pictures, Alice was herding us from one end of the preserve to the other. A few families would wander off then rejoin the group. Our guide easily counted the number in our group at a couple dozen times today to make sure no one ever got left behind.